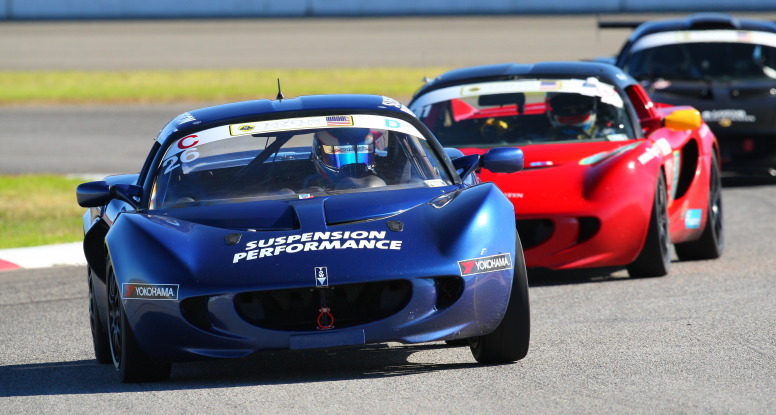 Ross Jaffe has joined the SP Motorsports team, driving the championship-winning blue 2005 Elise. Welcome, Ross – we look forward to an exciting year of racing with you. Brandon Sloan started the 2016 Lotus Cup USA season with a production class win on Saturday, with Ross Jaffe placing third, a strong showing for his first race in a new car. On Sunday, Ross took home the silver medal, just 2.5 seconds behind the winner. 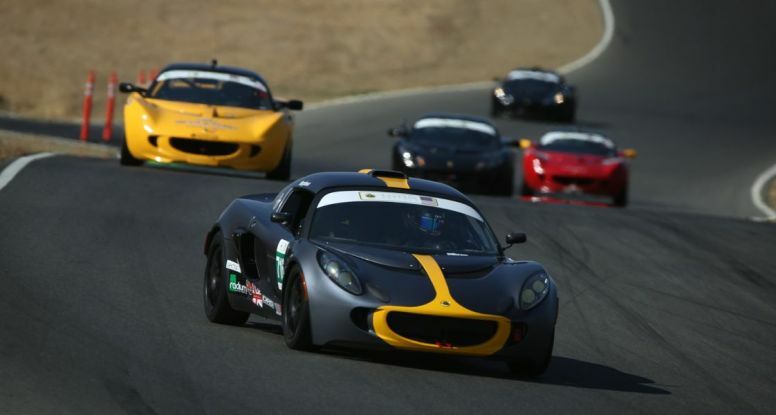 At the final race of the 2015 Lotus Cup USA season, Kevin Woods, the newly-crowned production class champion, led the class for the entire race once again, and also finished ahead of all Cup cars. Watch the video of Kevin’s thrilling pass of an Evora V6, just 45 seconds into the race. Brandon Sloan drove a fine race, battling back and forth with Mike Reynolds in the Cup class, and placed second in Production, just 5 seconds behind Mike. 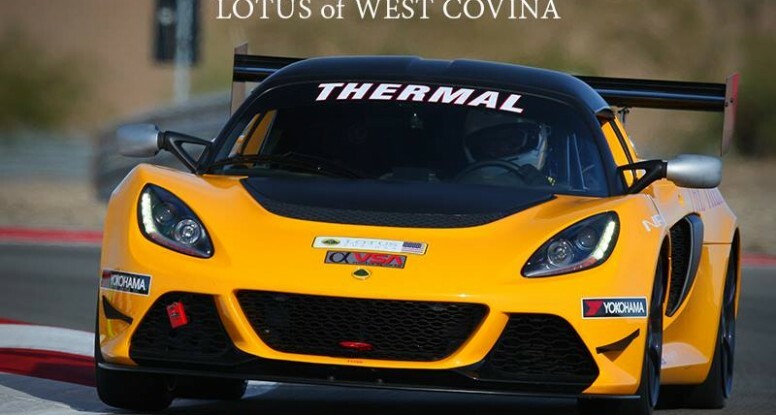 Kevin Woods is the 2015 LotusCup production class champion, having won 12 out of 14 races. With two races remaining in the season, he has a commanding 58 point lead in the championship points. In Saturday’s race at Autoclub Speedway, Kevin drove a steady race, winning production class and placing fourth overall, ahead of 3 out of 4 cup cars. On Sunday, Kevin drove more aggressively, finishing first in production class and third overall, ahead of all cars in the Cup class. Congratulations to our 2015 LotusCup production class champion! 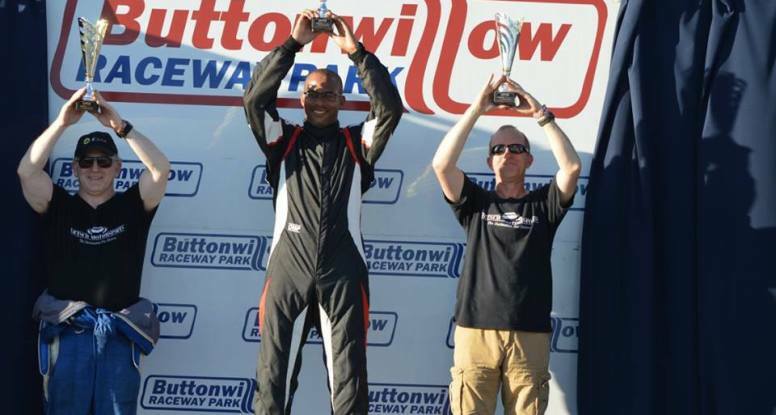 Kevin Woods brought home another double win at Buttonwillow in October, and now has a commanding lead in production class with ten wins out of twelve races. Saturday’s race began with some excitement, as the lead cars braked more aggressively for the first corner than the rest of the pack was expecting, but all drivers avoided contact. Kevin Woods went on to win the production class by more than 8 seconds, with the fastest lap time in his class. Jeff Raggio placed third in Cup class, in only his second weekend of LotusCup racing. In Sunday’s race, Kevin got a great start, passing the lead Cup car before the second corner. He eventually got passed back, but still won production class, over 20 seconds ahead of the rest of the field. Jeff Ragio grabbed a podium in Cup class, again placing third. 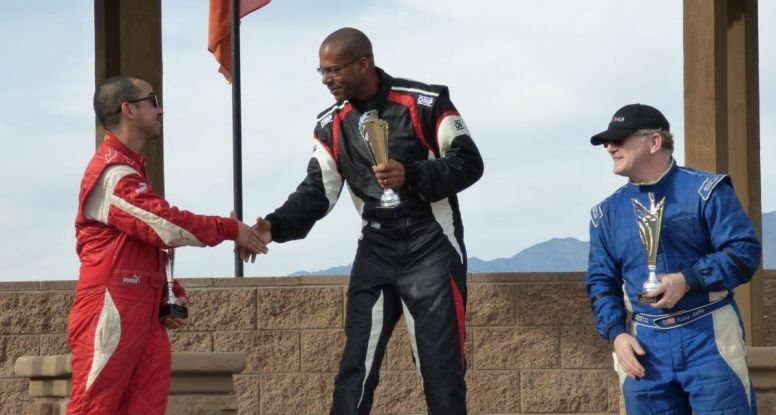 Congratulations to SP Motorsports drivers for bringing home four trophies in two days. SP Motorsports had a great weekend at Thunderhill, with four drivers bringing home four wins and four second place finishes. Kevin Woods had another double win in the production class, driving our rental Elise on Saturday and our rental Exige on Sunday. Brandon Sloan battled several other production class drivers to take second on both days. In the Cup class, Mike Reynolds joined the SP Motorsports team for the weekend and won both races. Jeff Ragio did well in his LotusCup racing debut, placing second on both days. Congratulations to all the SP Motorsports drivers! 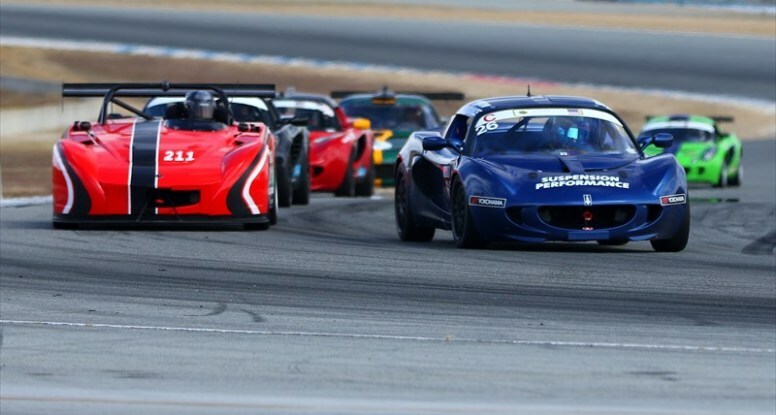 SP Motorsports had a busy weekend at Laguna Seca on June 26-28, supporting a total of six customers at the LotusCup race and a simultaneous SpeedVentures track day. Kevin Woods again won the production class on both Saturday and Sunday, bringing his season total to 6 wins out of 8 races. Saturday also brought Brandon Sloan a second place finish in the production class, and Jeff Huber a 4th place finish in the SuperSport class, despite running his 2Eleven in 4th gear for the entire race. On Sunday, Jeff decided to try out our new Exige rental car, which finished the race well. Half way through the 2015 LotusCup season, Kevin Woods has a commanding lead in the production class championship, according to official race results. 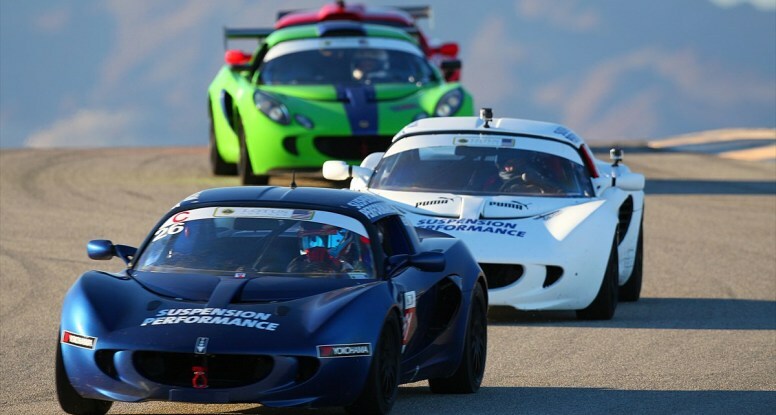 SP Motorsports team is still undefeated in the production class at 2015 LotusCup season, taking both 1st and 2nd place on Saturday and Sunday races at Spring Mountain on March 14-15. On Saturday, Kevin Woods won by a 30 second margin, and Gary Bone edged out Ross Jaffe for second place. On Sunday, Kevin Woods won again by a substantial margin, and Gary Bone slipped by Mike Dean to take second place. See official results for complete standings. 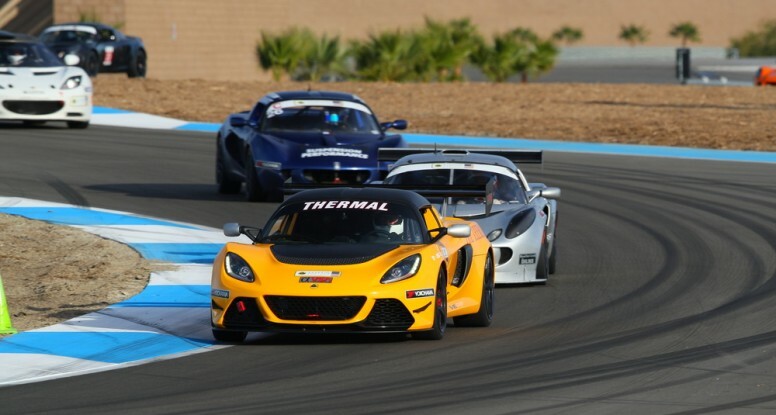 SP Motorsports had a great weekend at the opening race of the 2015 LotusCup on Feb 7-8 at Chuckwalla, with two wins and two second place finishes in the production class. Kevin Woods won both days, with Gary Bone a fraction of a second behind. The rest of the production cars were more than 30 seconds back (see official results). The season is off to a great start. Contact us to join the SP Motorsports team! We have spaces available in the trailer starting with the Spring Mountain race on Mar 14-15. We also have space available for the COTA race on Apr 25-26.